Election Day is almost here, and my campaign has picked up some great momentum in the past few weeks! I received important endorsements from Missouri Right to Life as well as from Auditor Tom Schweich. I raised more money in the 2nd Quarter than my two opponents, with broader support both inside and outside of the district. Most importantly, every day I’ve been meeting more voters of the 98th District and earning their support as they hear about my plans to fight Obamacare, create jobs, and defend the Constitution! An important part of any campaign, and especially MY grassroots conservative campaign, is getting people to show their support publicly by putting up a yard sign. Voters in every corner of the 98th district have been doing just that! 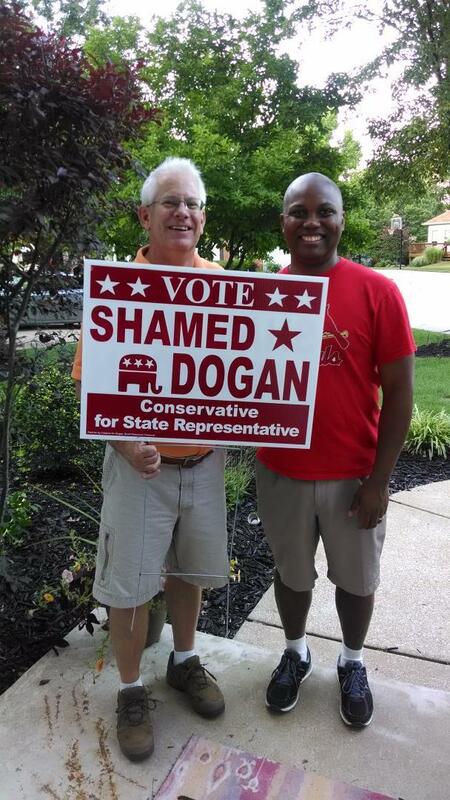 If you would like to get your own yard sign to keep up with your neighbors, please Tweet @dogan4repusing #Doganyardsign, or email me at dogan4staterep@gmail.com.